One of the main concerns of planning a sailing holiday is safety. Of course, you will want to have a fun time instead of being worried all day about your security while out at sea. So, it is crucial to figure out if your destinations are indeed safe places to travel. A great way to ensure that you and your companions will have a grand time is to book a private yacht charter and visit the top sailing destinations around the world best known for their safety. These places are also famous for their beautiful views, warm waters, and friendly locals – which means there are plenty to be happy about. To top that off, when you book a luxury yacht charter, for sure you will have a truly memorable and luxurious getaway. This is Yvonne, one of our fleet of yachts for private charter. Sailing on a private yacht has many benefits. For one, it can give you the comfort, privacy, and freedom that cruise ships sorely lack. A yacht can take you to see the beautiful and exotic coastlines and beaches of the world in safety. Whether you plan to cruise the crystal clear waters of the Caribbean, go diving in the French West Indies, or sunbathe at the beaches of Thailand – you will enjoy comfort and will be pampered all the way. There are hundreds of beautiful places to visit while on a luxury yacht charter. After considering a lot of factors including infrastructures, safety, sailing conditions, weather, and more – we list down 10 of the safest holiday destinations for you to visit while on a chartered private luxury yacht. Sicily is one of the top destinations in the Mediterranean. It is famous for its secluded beaches, anchorages, and its surrounding quiet fishing villages. The crystal clear waters of the Aeolian Islands just 35 miles north of Sicily are a must-experience. Aside from the breathtaking landscapes, you can also enjoy delicious cuisine. When you sail to the area, docking in the port of Palermo is a good idea. Enjoy exploring the ancient city full of stunning architecture, art galleries, opera houses, and museums. The Caribbean is one of the top tourist destinations in the world. With its beautiful beaches and luxurious resorts, it is no wonder why people head there. And it is definitely a safe and wonderful place to sail to. So, if you want to enjoy the clean and fresh part of the region, charter a yacht and sail down to the Bahamas. The place offers great ocean landscapes and warm waters. Explore the special bays and beaches with a shallow draft yacht. Snorkel and scuba dive, and enjoy a lively island life. Imagine a landscape full of sandy beaches, tall palm trees, deep blue waters, and mountain ranges in the background. Welcome to Thailand, the place called “The Land of Smiles”! If all of that plus the very friendly locals are not a good enough reason for you to visit the country, then the growing yacht charter industry will convince you. Indulge in hopping from one island to another and walking barefoot on soft, sandy beaches. Dive, snorkel, and swim in the country’s warm waters. Escape from the busy world by sailing to Phuket and exploring its hidden coves and bays with your yacht. Boring will never be the word to describe your experience when you are holidaying in Thailand. With more yachts sailing around its waters, the British Virgin Islands is one of the best places to charter one. Why do people love sailing there? For one, sailors appreciate the area’s consistent trade winds, which makes navigating very easy. The Islands is also abundant with anchorages that are well sheltered. Aside from those factors, the Virgin Islands also offer crystal-clear and easy deep waters, beautiful rock formations, a number of gorgeous islands to visit, perfect beaches, exciting on-shore activities, and a wide selection of dining options. For your holiday, consider sailing to Anegada, which has powdery white sand beaches offering breathtaking views of colonies of pink flamingoes! You can also sail your yacht to Marina Cay where a sheltered lagoon and warm waters await you. This island in the South Pacific is considered to be one of the most beautiful places on Earth. It is one of the safest places for yacht charters as well. Fiji boasts of picturesque islands inhabited by the friendliest locals. If you are worried about cyclones, the islands only experience them during a short cyclone season, while the rest of the year remains sunny and sailor-friendly. With the recent development investments pouring in courtesy of the government, the yacht charter and hospitality industry in the country is booming. There are new luxury resorts to choose from and more awesome attractions to enjoy! A part of the Caribbean cruising area, the French West Indies offers beautiful and luxurious islands to visit – Martinique, Guadeloupe, Dominica, and Isle de Saints. Yacht charter is popular in the area. You can enjoy the privacy and safety of sailing on the warm and blue waters. 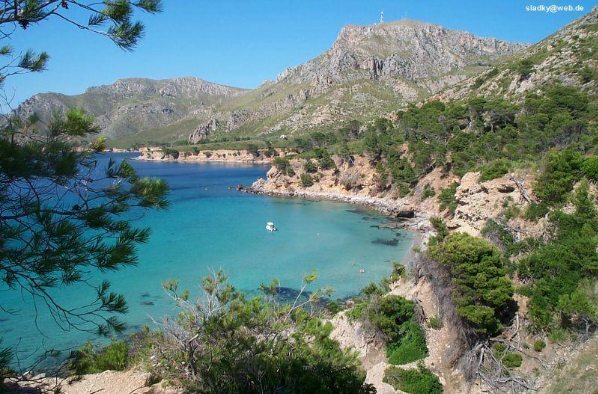 There are also hidden coves for you to marvel at. You can anchor your yacht near one of the islets and dive in and enjoy the clear seas. Just like the other Caribbean islands, the French West Indies also provides faultless long beaches with soft powdery sand, luxurious hotels, and lush rainforests you can explore. Another coastal region along the Mediterranean made this list and deservedly so. All year round, this region is sunny, and chartering a luxury yacht here is an incredible experience. It has stunning scenery that you can enjoy while cruising. The place is truly a perfect blend of rugged landscapes and cosmopolitan resorts. Cannes, Monte Carlo, and Nice are all here. Enjoy the vibrant nightlife in the region or yacht down to the relaxing atmosphere of Port Cros and Proquerolles. French Rivera is definitely a perfect and safe destination for a yacht charter holiday! Lately, Croatia has become one of top yacht charter destinations in Europe. This hidden gem in the Mediterranean region is famous for its over 1,000 islands. Sailors consider this place as a paradise destination. With ancient villages scattered along the country’s shoreline, and the pristine beaches along the Kornati archipelago, you will enjoy both the sea and the views here. The best time to cruise is during early spring, April and May, when the water is warm enough to swim and when you can find your own little cove. You can also head over and explore the country’s historical places such as Split, Dubrovnick, and Havar. Friendly locals, thriving nightlife, and secluded, safe, and beautiful beaches await you. A top destination for the rich and famous, Monaco offers a luxury holiday experience that you can never find anywhere else in the world. The country has world-class infrastructures, from hotels near beaches to dining places and entertainment areas. Security is never an issue as it is taken very seriously by both the government and the locals. One of the reasons why Monaco is one of the top super yacht cruising destinations is because of its mild Mediterranean weather. Explore the islands and the warm waters where you can swim, fish, dive, and just lounge around aboard your luxury yacht charter. Fair weather, warm waters, abundant aquatic life, safe and top class accommodations – all of these you will enjoy in the Balearic Islands. This low-key yachting destination in the Mediterranean may not be as glitzy as its neighbor, but chartering a yacht here is like no other. Palma de Majorca, one of its cities, has been the center of sailing in Europe for years. If you want to relax and enjoy yacht cruising, this is the destination that you and your friends should not miss. From the Mediterranean to the Caribbean, down to Southeast Asia and to the South Pacific, there are a variety of luxurious and safe destinations for yacht charters. These islands offer the perfect combination of warm waters, exotic views, luxurious accommodations, and security for your yachting pleasure. Ready to have a holiday that will blow your mind? We here at 212° Yachts offer private luxury yacht charter services. Many of our clients have raved about the magical time they had when they booked with us. We are ready to provide you with the best yacht for your luxurious getaway. We will make sure you will have a fabulous holiday!